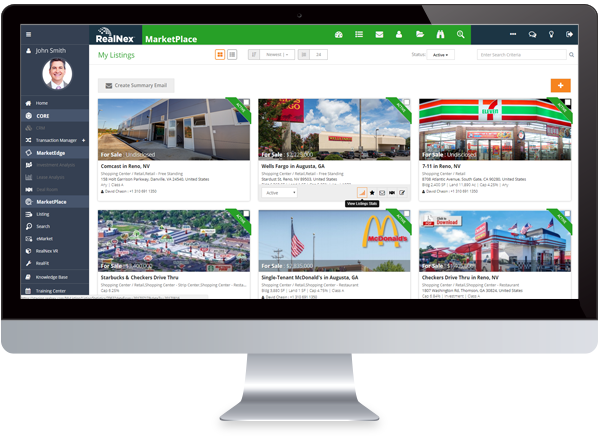 Stafford, TX - November 27, 2018—RealNex is pleased to announce the RealNex Marketplace as the latest syndication channel available on the Buildout platform. With this partnership, Buildout users will be able to syndicate all available For Lease and For Sale properties to RealNex Marketplace’s database of over 250,000 listings and engage in transactions with a global community. HOUSTON-November 14, 2018- RealNex, a commercial real estate technology company, announced today it has been selected to provide its MP Exchange Commercial Property Listing System service to the Greater Las Vegas Association of REALTORS®(GLVAR) and its Commercial Alliance Las Vegas (CALV). The new services, hosted on the CALV website at www.calv.co, will showcase the commercial real estate listings of CALV members. HOUSTON-October 23, 2018-RealNex, a commercial real estate technology company, today announced it has been selected to provide its MP Exchange Commercial Property Listing System service to NALCOM, The Northern Alabama Commercial Real Estate Association. The new services will be hosted on the NALCOM website at www.nalcomhsv.com.